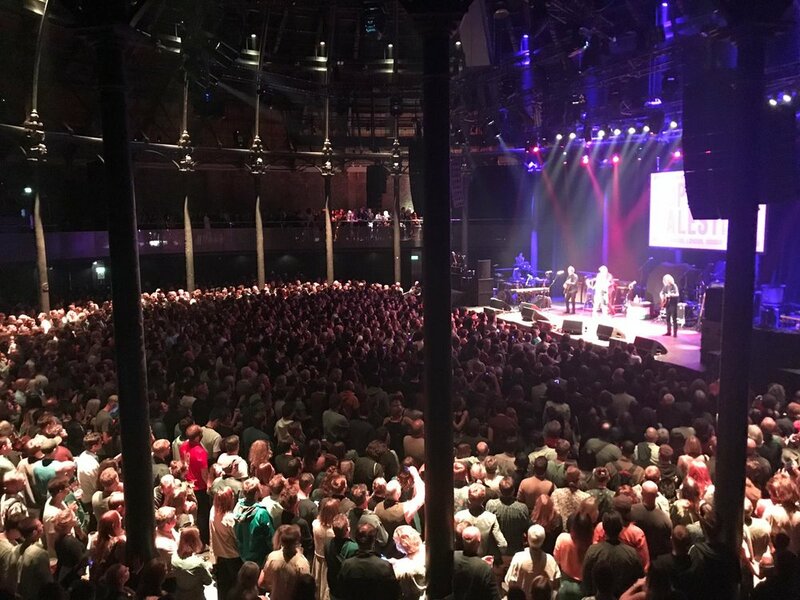 In June 2018 the public concert, ‘HOPING for PALESTINE’, was held at the Roundhouse in Camden. The show was hosted by comedian John Bishop, and included performances from Loyle Carner, Thurston Moore, Patti Smith, and headlined by indie giants the Libertines. The music was interwoven with ‘illuminations’ recited by footballer Eric Cantona, and readings from the comedian Frankie Boyle. Guests included Claire Foy, Woody Harrelson, Jemima Khan, Christian Louboutin, Mary McCartney, Edie Campbell, Eva Herzigova, Laura Bailey, Angus Deyton, Charlotte Tilbury, Matthew Freud, Venetia Scott, Alice Temperley, Lily Cole, and Dan Macmillan. The HOPING Foundation merchandise was provided by British artists Sarah Lucas and Douglas Gordon together with Robert Del Naja (3D) from Massive Attack who created limited edition exclusive posters and prints as a gesture of support for the children of Palestine. You can watch a short film of the concert below and see Eric Cantona recite Samih Al Qasim’s “Enemy of the Sun” in full by clicking here.